It’s every cyclist’s dream to be able to improve their speed and stability while reducing wind resistance, but we all know that the only real way to do this is to get yourself a new bike. Professional triathlon bikes are capable of hitting the high speeds and maintaining smoothness, but they cost way too much to even consider, and so we suffer with our regular road bikes. The next option is to invest in aero bars, but again if you’re low on funds these can also be out of your reach and price range. What you need is a simple and affordable way to get yourself a pair of aero bars and upgrade your bike, so you can see if all the fuss behind this innovative accessory is worth the hype. The Hotusi Aero bars are by far some of the cheapest on the market, so if you’ve been hesitating about trying out aero bars for yourself for simply want to upgrade your bike for cheap, these are well worth your consideration. With a pair of Hotusi Aero bars attached to your bike, you’ll improve your speeds and lower wind resistance, all the while feeling comfortable and supported. These simple additions can be easily added to your bike, and with all of the benefits we now know about aero bars there’s no reason not to try them out for yourself. Hotusi has made an affordable entry-level set of bars that suit riders of all skill levels, so they’re definitely worth checking out. Although not traditionally a famous bike accessories brand, Hotusi is known for making affordable solutions with everyday products that people need. They have a small range of cycling equipment but their most popular and budget-friendly one has to be their aero bars. 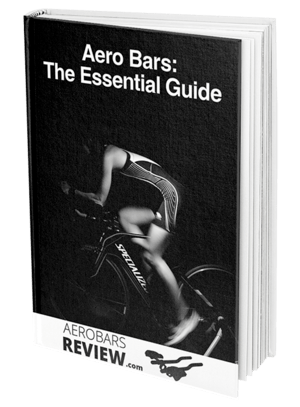 ​With more on offer than you’d find from brands that cost well above this price, there’s no reason to spend a fortune just to get yourself a quality aerobar for your bike. Everything from the easy set up to the adjustable options on the bars makes this a serious contender for the best aero bars on the market today. 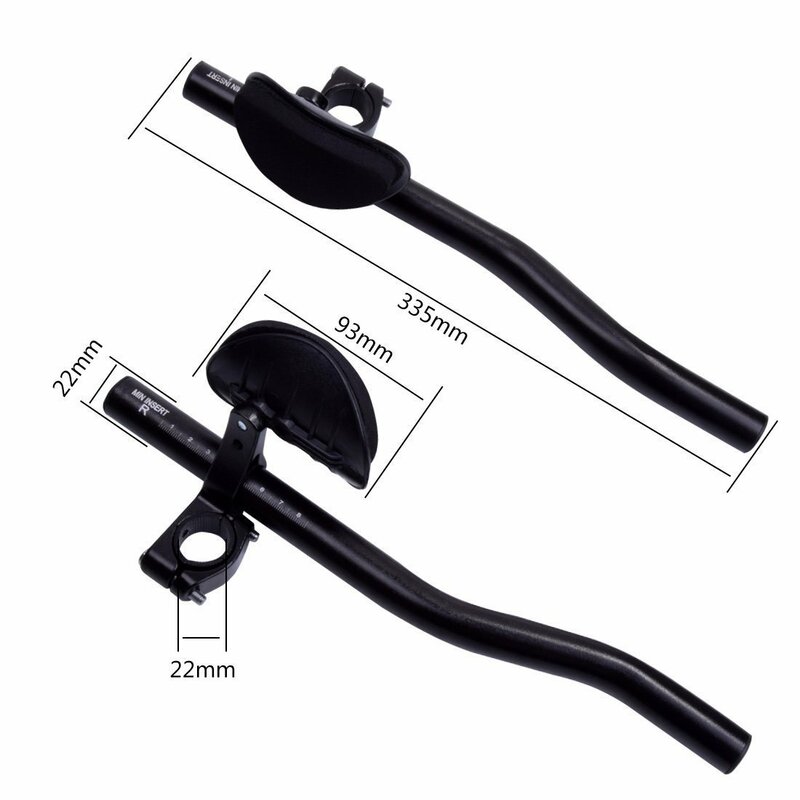 There are so many options to adjust the handlebars, making them a great choice for the rider who likes to test the waters. You’ll need to spend some time getting everything right but after you’ve completed the initial setup you’ll have the most comfortable and supported ride of your life. With the little extras included on the Hotusi Aero bars you could be fooled into thinking that they cost a lot more than they did, with inclusions like removable arm pads that can be easily cleaned and independent arm and rest bars. Because these bars are made from aluminum alloy they may feel a little flimsy when compared to other makes and models. However, due to the low cost, it’s almost expected that you’ll find a difference somewhere. If you prefer more stability and want the peace of mind of a stronger construction, it might be ideal to spend a little more to get it. 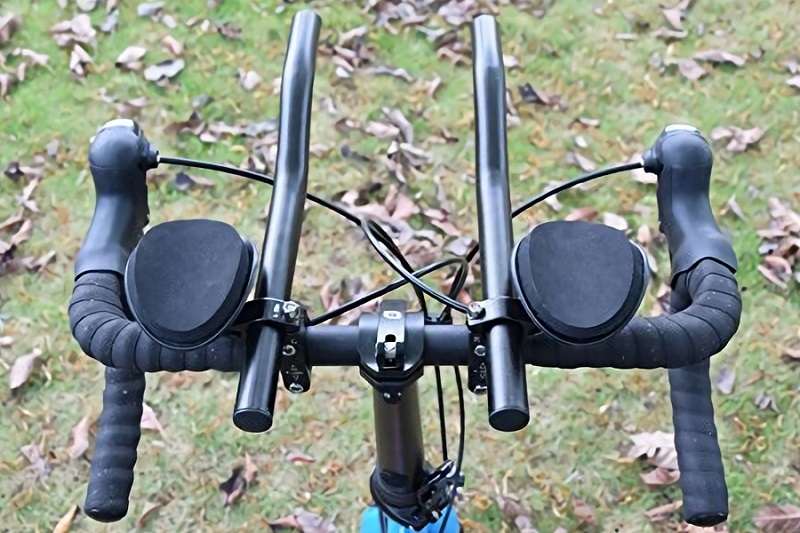 You might be shocked to find just how affordable the Hotusi Aero bars are when you shop on Amazon, with their low price of just over $20 being all you need to spend just to update your bike. This also includes their free shipping to all customers so you’re saving even more when you don’t have to pay the freight. Amazon Prime members will get their special express shipping option free of charge also so that they can start using their Hotusi Aero bars in just two days. As can be expected when you save yourself as much money as this, Hotusi doesn’t offer any warranty on their aero bars so you’ll be stuck with them should anything go wrong. However, judging by the online reviews it seems that everyone is seriously impressed with the quality and value of them, so hopefully, you’re in agreement. Because they’re so affordable, some might even want to get themselves a backup pair or get a gift for a friend looking to improve their riding experience. 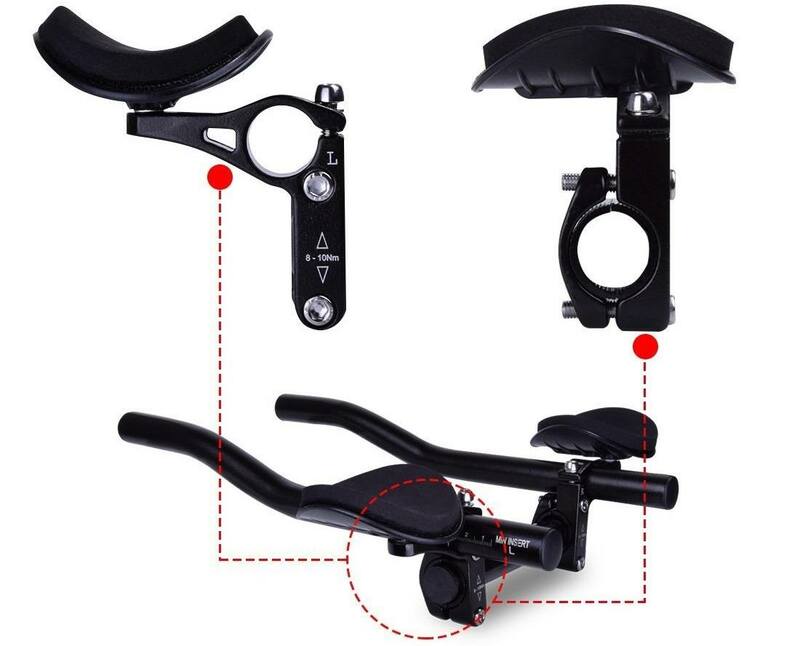 In addition to their aero bars, there are some other pieces of equipment you could add to your bike that gives it the look and feel of something more expensive without breaking the bank. Phone holders, drink holders, bike mounts and rests are all available online as well, meaning there’s no need to buy yourself a whole new bike just to get that new bike feeling. If you’ve been looking for the opportunity to upgrade your bike but without the monstrous costs usually associated, the Hotusi Aero bars will be exactly what you’ve been waiting for. These affordable and feature-packed bars will give you the aerodynamic boost you need without costing you a fortune. Whether you want to treat yourself or give these as a gift to a cyclist friend, you really can’t go wrong with the Hotusi Aero bars. To get a pair of these innovative additions to your bike, click here to check them out.